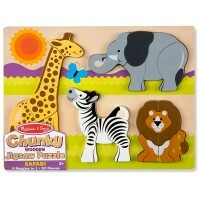 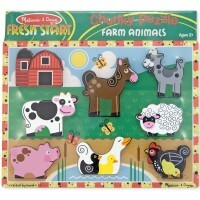 Each of the four brightly colored farm animals comes with 4-6 chunky jigsaw pieces, for 20 pieces in all. 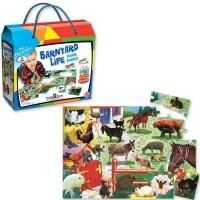 Get ready for some barnyard themed fun! 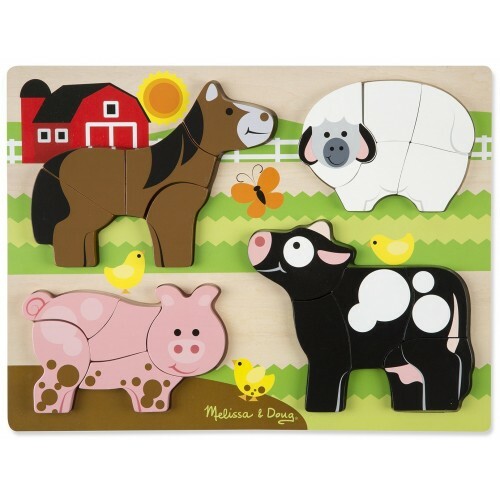 The Farm Chunky Jigsaw 20 pc Puzzle, created by famed toy company Melissa & Doug, lets you explore an exciting farm scene that contains not one, but 4 farm animal puzzles on the board! 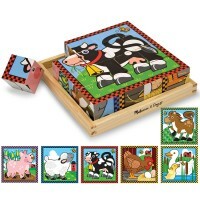 Meet a smiling pig, cow, sheep and horse, each consisting of 3-6 jigsaw pieces. 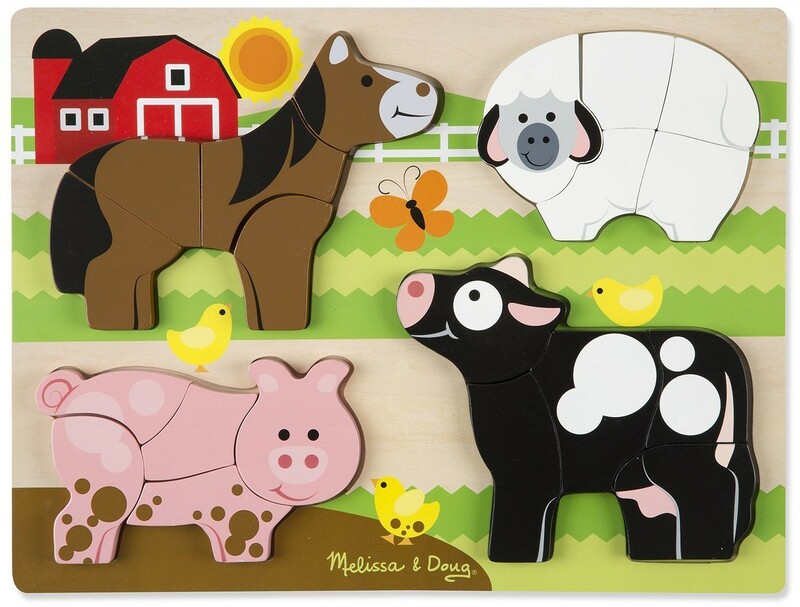 Toddlers and preschoolers will love pulling apart this chunky puzzle to discover how to piece these popular farm animals together. 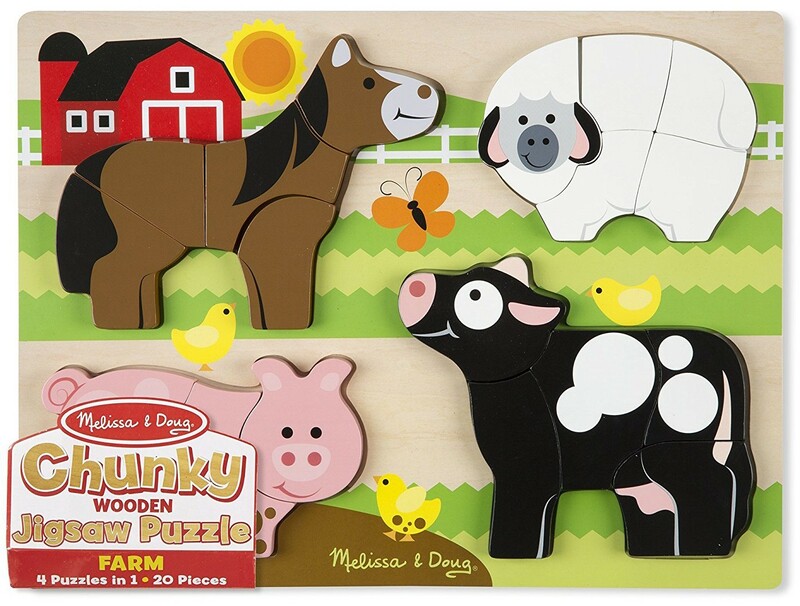 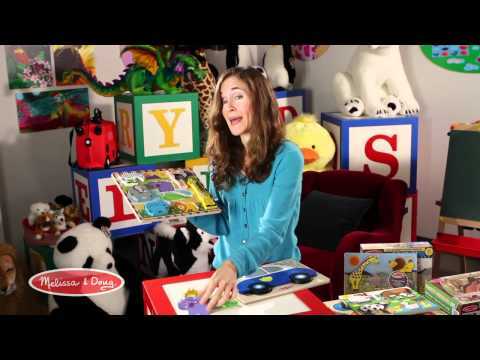 Melissa & Doug always use the highest quality wooden materials in their puzzles. 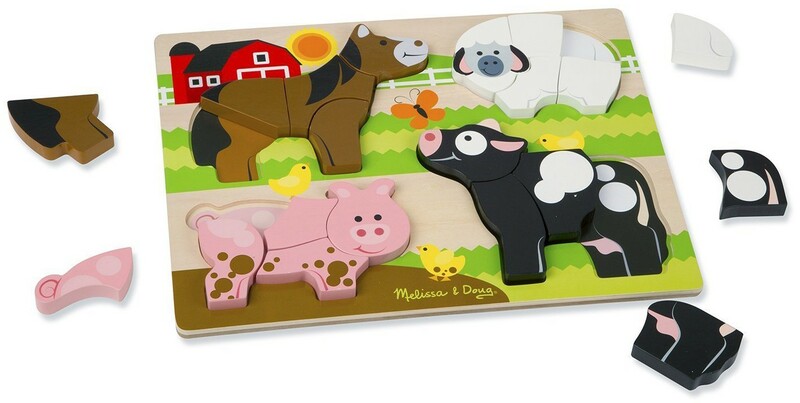 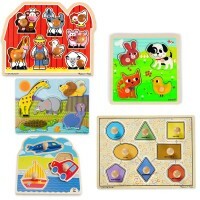 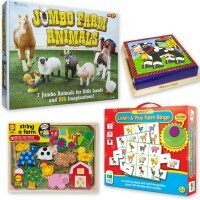 The farm jigsaw, available from Educational Toys Planet, also features a special toddler-friendly design with easy-to-grasp and simple-to-assemble pieces. 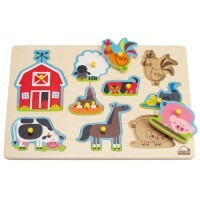 Yee-haw, it's time to take a trip out to the farm! 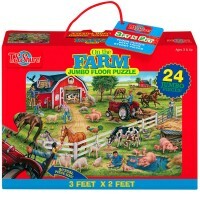 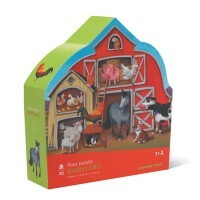 Dimensions of package 1.1" x 11.8" x 15.8"
Write your own review of Farm Chunky Jigsaw 20 pc Puzzle.